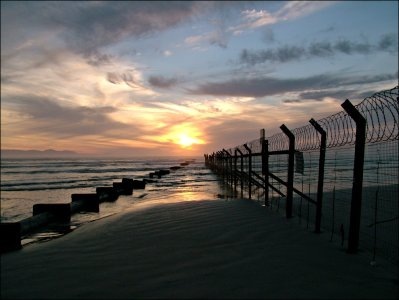 A sunset viewed over two Strand beach landmarks, the fence and pipeline. This entry was posted in Photos and tagged fence, pipeline, Strand, Sunset. Bookmark the permalink.